Current recruitment processes in many nonprofit organizations commonly rely on familiarity with past directors whose terms have taken the obligatory year hiatus between tenure periods. Or a superficial scan is done of who’s “available” that may conveniently favor friends and relatives—indeed often legacy directors. The process rarely includes “dark horse” candidates that could allow fresh viewpoints to broaden meeting discussions. And although recruitment grids can be filled by mid-career professionals with special expertise, they lead time compressed lifestyles and may show little interest in the governance function or strategic planning– so critical to running an organization. It becomes clear that the board needs new and different recruiting options. This can involve identifying active board members in other nonprofits that are about to term-out of their current positions. In some instances, colleague CEOs or friends on other boards may help identify some of these types of candidates. Also seek the names of people who have had broad experiences in business or professions and are about to retire from full-time positions. Make finding atypical candidates a plank in the strategic plan because it calls for a different and more difficult approach to recruiting. Look beyond the resume to candidates’ behaviors. 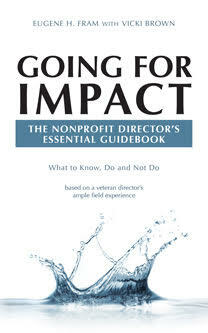 Nonprofit organizations have generally recruited board members on the basis of their working background title. Any attorney with expertise has been acceptable. But, for example, a board most often needs a corporate practice attorney who will become a behavioral role model for the other directors. It also needs several directors with strategic planning experiences. In recruiting a business CEO, it becomes necessary to assess personality. Some CEOs are great team players. Others have been successful as authoritarian figures. Taking recruiting actions like these have not been built into the DNA of nonprofit boards. 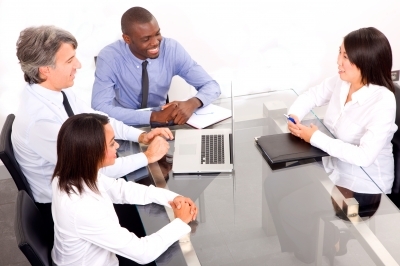 Diverse boards are usually a requirement for nonprofit organizations. But many boards do not pay serious attention to this requirement. Community centered boards, for example, may have gender diversity but continually recruit from family, colleagues, neighbors and friends, a homogeneous cohort. The 21st century calls for boards to be both diverse and inclusive and must recruit well beyond these four cohorts. Recruitment needs to be speedy and efficient. Knowledgeable candidates will first judge the nonprofit as to how well it has been managed or whether or not it is on the road to becoming better managed. Except for a person who is highly dedicated to the mission, nobody wants to join a board or organization in conflict. A desirable candidate will also judge the nonprofit board on the basis of how the recruiting process is conducted. A rapid, transparent and efficient recruitment process provides positive evidence. In my view, much of nonprofit board recruiting is focused on who is available, rather than the board rigorously seeking who should be available. There is a need to use the four points listed above to add more rigor to the process in order to seek tomorrow’s leaders today. * The national median board tenure for nonprofit board members cited by several studies. Thanks for your interest. Link nicely integrates into your article.